Creamy Keto Hot Chocolate Recipe. We’ve come up with a new version of our old hot chocolate recipe. Some people were telling us that they were feeling a little drowsy afterward. So we’ve changed the ingredients slightly and added MCT powder for those wanting a little kick early or midway through the day. We’ve used unsweetened Macadamia Milk for this keto hot chocolate recipe, it has a mild flavor and it’s so creamy! You can swap it out for your preferred low-carb milk (almond etc). 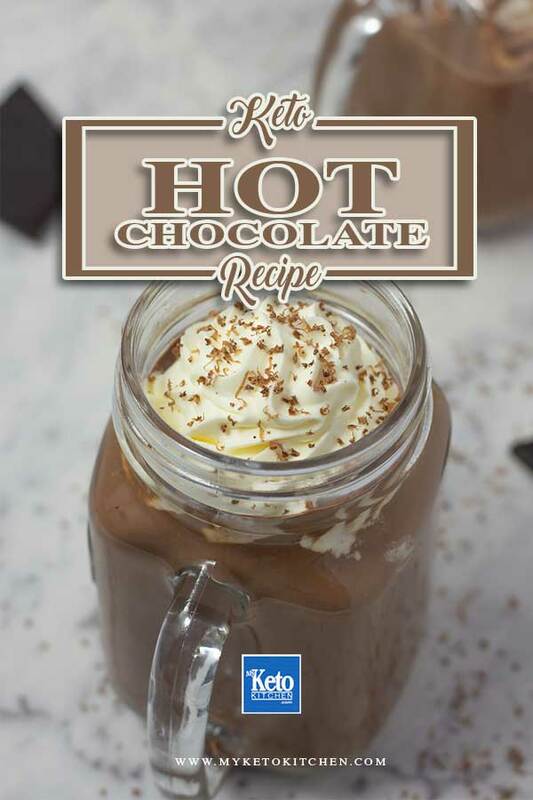 Easy Keto Hot Chocolate Recipe. This Keto hot chocolate recipe makes 4 serves. 1 serving is 1 cup. Place all the ingredients into a medium sized saucepan. Stir gently. Cook on low for 20 minutes, stirring every 5 min to prevent the chocolate from sticking the edges of the saucepan. After cooking, stir well before pouring into glasses and serving. Optional: top with whipped heavy cream and chocolate shavings. 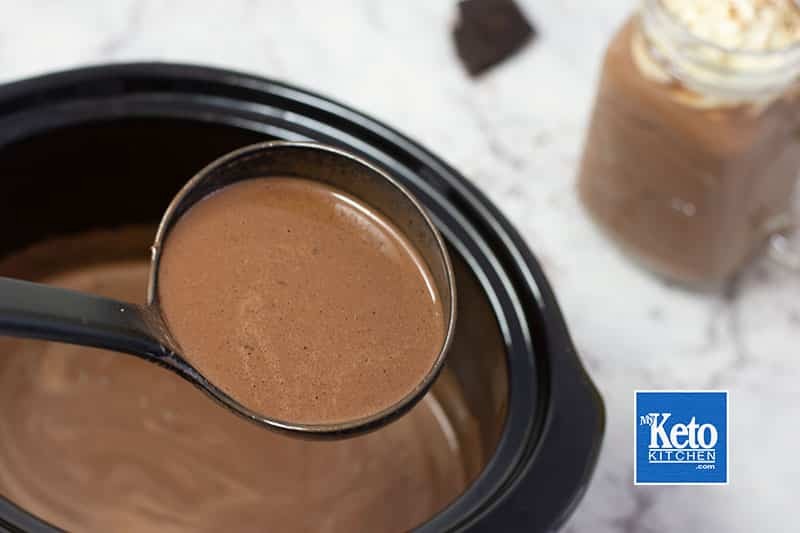 Any leftover keto hot chocolate can be stored in the fridge for up to 1 week, and reheated in the microwave or on the stove top. 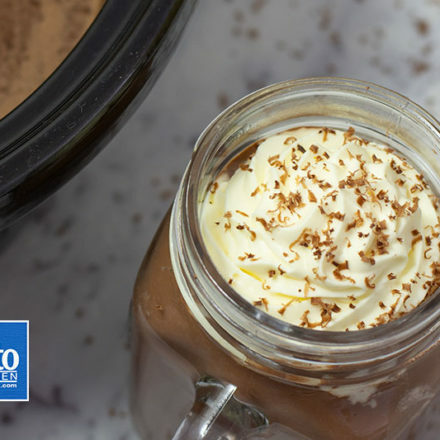 This Keto Hot Chocolate recipe is the perfect way to warm up those winter days and cold nights. There's an option to add MCT powder for those who are wanting an "extra kick" throughout the day. Place all the ingredients in a medium sized saucepan. Stir gently. Cook on low heat for 20 minutes, stirring occasionally to prevent the chocolate from sticking in the edges of the saucepan. 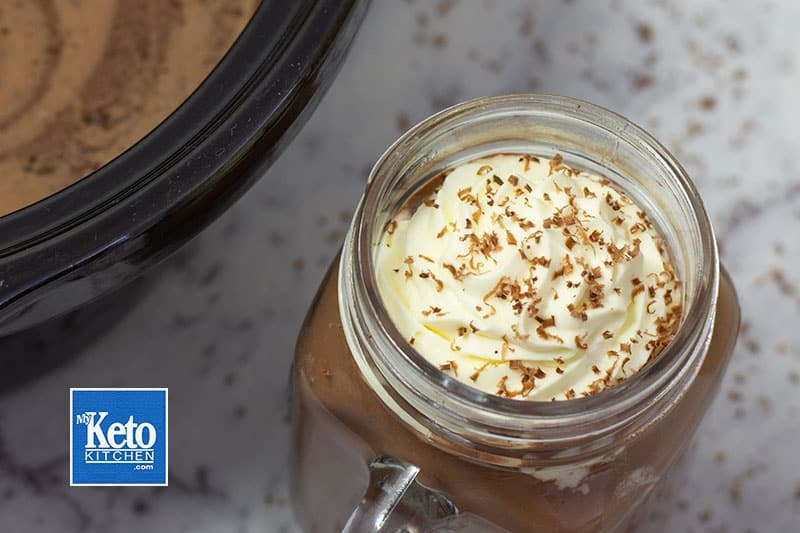 To make a larger batch of this Keto Hot Chocolate recipe adjust the servings above.